Originally, our Jewish calendar did not have a fixed number of days in each month. Each month had 29 or 30 days, depending on when witnesses spotted the new moon and reported this to the Sanhedrin (High Court). Around three hundred years after the destruction of the second Templeand the accompanying exile, Hillel II (4th century CE, Eretz Yisra’el) instituted a fixed calendar which we use until this day. The year has an average of 354 days, with the months alternating in length: Nisan has 30 days, Iyyar 29, Sivan 30, and so on. (Heshvan and Kislev sometimes have 30 and sometimes 29. These are set in such a way to prevent certain festival difficulties. For instance, according to our calendar system, Yom Kippur will never fall on Friday. We ensure these by altering the length of Heshvan and/or Kislev). The Torah (Ex. 12) tells us that the Israelites leftEgypton the fifteenth of the first month (Nisan), and that we arrived at the Sinai desert in the third month, Sivan (Ex. 19). It does not explicitly tell us which day of the month the Israelites arrived. Furthermore, it is very surprising that the date of the giving of the Torah, which should be seen as the most momentous day in Jewish history, is not recorded in the Torah! Not only that, but the Sages in the Talmud [Source II], who often have traditions about the dates of other Biblical events, disagree about the date of the giving of the Torah: according to the Sages, it was the sixth of Sivan, and according to R. Yossi, it was the seventh! How is it possible that such an important date could be forgotten?! This is even more shocking, given that Moses cautions the people, (Deut 4:9-10) “But guard yourselves, and carefully guard your souls, lest you forget… The day upon which you stood before God at Horev…”! If we further consult the Talmud [Source II], we find that the majority of traditions state that the Torah was not given on the fiftieth day of the Omer, but rather on the fifty-first. 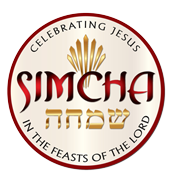 According to two of three Tannaitic traditions (one seen as being the Sages’, one R. Yossi’s), the Exodus was on Thursday and the giving of the Torah was on Saturday – making that the 51st day of the Omer. Only according to the third baraita, which only fits according to the Sages, the Exodus occurred on Friday, allowing the giving of the Torah to be on the 50th day of the Omer (see chart at end). To make matters even more complicated, it has been pointed out that the halakhah today actually follows R. Yossi’s view. We have, among the practical laws of Niddah, a halakhah which is based on his opinion that three full days, not two, were required for the Israelites to separate from their spouses before the Sinaitic Revelation could occur (see Shulhan Arukh, Yoreh De`ah 196:11, and Magen Avraham to Orah Hayyim, beginning of Siman 494; see alsoArukh HaShulhan 494:2, who rejects the Magen Avraham’s question). In the writings of various later authorities, some creative solutions have been proposed for this problem. For instance, the Magen Avraham (Orah Hayyim beginning of 494) suggests that the giving of the Torah purposely was timed for the second day of Shavuot, to give some sort of Biblical source for the second day of festivals, observed only in the Diaspora. Others suggest that on Shavuot we celebrate God’s giving the Torah to Israel, not Israel’s receiving the Torah; even according to R. Yossi, God was ready to give the Torah to Israel on the Friday, the 50th day of the Omer; it was Moses’s decision which caused it to actually be given on the 51st. We celebrate the day on which God was ready to give it. But, in truth, the Torah never tells us that the celebration of Shavuot is to coincide with the giving of the Torah. The Biblical function of this holiday has nothing to do with the Revelation. It is the day of first fruits, the day of offering a new offering (‘???? ???? ??). Perhaps the Torah purposely tried to hide the day of the Revelation so that we wouldn’t think that the Torah and its mitzvot applied on that day more than any other. Every day the Torah is supposed to be cherished by us as if it had been given that very day (see Rashi to Deut. 26:16). Perhaps this can help us in our times, when modern critical research casts doubts upon the authenticity of the Revelation account, and especially its traditional dating. The date of the Revelation is not so significant for our observance, rather, what we do with the Torah after the Revelation is the true test of our loyalty. Inflame a greater love for, faith, and trust in the LORD God our Father and Savior Yeshua, the Messiah. The Atlit Detainee Camp Museum is located in a small town located on the northern coast south of Haifa. In the 1930s and 40s, this site served as a detention center for illegal Jewish immigrants seeking refuge in Palestine (which is not the State of Israel). The land was under British Mandate and officials let very few Jewish people into the country legally. Tens of thousands of Jewish people were interned here during this time. The site is important to help us understand the painful situation of Jewish people who were able to escape from or survive the Holocaust, yet were denied refuge and freedom. Standing on the beach of the Sea of Galilee we can imagine how many times Yeshua stood in this very place! Let us join the chorus of Heaven with our praise and worship! Qumran is best known as the place where the Dead Sea Scrolls were discovered not too long ago. During the Hellenistic Period, the Essenes settled here, isolating themselves from, what they considered, the corruption of the Priesthood in Jerusalem. It is thought that they ate communal meals, studied Scriptures for most of the night, practiced celibacy and followed their own calendar. The border between Israel and the Gaza strip is often a flash-point. After years of sending rockets, recently they became a barrage of incendiary kites and balloons, devastating hundreds of acres of crops and farm land. 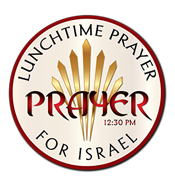 This is another key place to meet Israelis and pray. The largest and holiest cemetery in the Jewish world, containing some 70,000 graves, is the Jewish cemetery located on the slopes of the Mount of Olives. It is the final resting place of well-known figures such as Eliezer Ben-Yehuda and Menachen Begin. Whether it is called, “The Holy Land,” “The Promised Land,” or “Israel,” the land belongs to God. He assigned its stewardship to the Jewish people in preparation for His second coming to rule and reign (The Messianic Kingdom.) He has commissioned the Gentiles to assist in that preparation (Isaiah 60.) Starting with you!! If He in whom we place our trust and faith could break or revise His promises to Israel, what reason would we have to trust Him? Praise God that through our prayers, we CAN and WILL make a difference. He has brought you here for such a time as this. The Holocaust made an indelible mark on the soul of the Jewish people and has helped define who we are today. No one can really understand the Jewish people and their pain without facing the unspeakable horrors of the Holocaust. Undeniably there were an untold number “righteous gentiles” who risked or gave their lives to protect and save Jews, and we honor them. Caves where shepherds “kept watch over their flock” still abound in the area east of Bethlehem. The tradition connected with the Shepherds’ Field is complicated by the fact that archaeologists have identified more than one possible site. Regardless, it’s a great privilege to celebrate the Incarnation in the place where God became a man! There are lots to see at the museum, but we will focus on the scale model of Jerusalem in the 1st century and the dead sea scrolls in the adjoining SHRINE OF THE BOOK. By planting a tree, we are putting our own roots deep into her soil. Let us dream of what “our” tree will become. What children will play under its branches, soldiers find refuge and couples rest in its shade? The Atlit Detainee Camp Museum is located in a small town located on the northern coast south of Haifa. In the 1930s and 40s, this site served as a detention center for illegal Jewish immigrants seeking refuge in Palestine (which is not the State of Israel). The land was under British Mandate and officials let very few Jewish people into the country legally. Tens of thousands of Jewish people were interned here during this time. The site is important to help us understand the painful situation of Jewish people who were able to escape from or survive the Holocaust, yet were denied refuge and freedom. At the top of Mt Carmel, the monastery commemorates Elijah’s confrontation and victory over the prophets of Ba’al. With a view of the Jezreel Valley, Israel’s prophetic past is conjoined with her prophetic future. We cannot ignore what will happen to Israel and to the nations when the Church has been raptured. We must not forget that God’s purpose is that all mankind will know that He alone is God. During these years of Tribulation, there will be the great end-time harvest of souls. The small ancient town is considered by the Kabbalah mystics to be the place where God’s glory dwells while waiting for the Messiah to come and rebuild the Temple. Today many religious and political leaders come to Safed’s cemetery to pray at the graves of departed leaders which is strictly forbidden by God. Known by its Greek name Caesarea-Philippi, is the site of Peter’s great statement of faith, according to Christian tradition. However, being a pagan town with a ‘temple’ to the god of Pan, it is unlikely that Yeshua and His disciples visited. Nevertheless, the truth of Peter’s statement makes this a good place to pray for the world to worship Yeshua in Spirit and in Truth. Mt Bental is one of the high mountains in northern Israel near the Syrian border with an incredible views of the Mt Herman and the Golan. It was strategic in the Yom Kippur War and its position is a major security issue for the Kibbutzim below. Yeshua made Capernaum His home during the years of His ministry. Peter, Andrew, James, John, and Matthew all lived here as well. It was one of the villages Yeshua cursed. This is a good place cry to our Savior to heal the Body and repair the breach. Migdal is named after a city from the Second Temple period called Magdala. It’s the possible home of Mary Magdalene. It has the oldest synagogue found in the Galilee, and one of the only synagogues from that period found in the entire country, as of the time of the excavation. Traditional site of Yeshua’s “Sermon on the Mount,” which many consider the commentary of the Ten Commandments. Pictures usually show Yeshua on the top of the hill but actually He was at the bottom using the wind at His back for amplification! Its name means “Spring of Gideon.” God showed Gideon how to choose His warriors. God’s way seemed strange and a sure failure, but God’s way is always best! The battle is the Lord’s but we have the privilege and responsibility to participate and even triumph! According to tradition, this spot at the Jordan River, is both where the Israelites, led by Joshua son of Nun, crossed the river to enter the Promised Land following the Exodus from Egypt; and where approximately 300 years later, the Prophet Elijah crossed the river in the opposite direction, to be taken into heaven by ‘fiery chariots’, witnessed by his disciple Elisha. It is also believed to be the site of Jesus’ baptism by John the Baptiser. Arrangements can be made for those who would like to be baptized. As we travel south along the Dead Sea, we see many caves where David and his mighty men hid from King Saul. All around is desert and wilderness. Suddenly we come to the oasis of En Gedi where David wrote so many of the Psalms. Two things will amaze you: how close Jordan is and the reality of God’s promise to bring life back to the Dead Sea. While nothing can live in these waters, your skin will love the minerals! So we will smear ourselves with the mud and then take a dip! Take the cable car (you can walk if you desire) to the top. Here Herod built one of his several palaces where the view is spectacular. Today Israeli soldiers take the oath of service here in remembrance of the suicidal massacre of the Jewish people rather than surrender to the Romans (73 AD). Thousands of years ago, God chose a young shepherd boy to become the King of Israel. David left Hebron, the burial site of his forefathers, Abraham, Isaac and Jacob and in obedience to God, made Jerusalem the eternal and undivided capital of Israel. Almost daily treasures are uncovered proving the Biblical text. One of the highlights of our journey is our walk through Hezekiah’s tunnel and exiting at the Pool of Siloam. The Davidson Center (aka The Southern Steps) is the largest excavation site in Israel, at the base of the Temple. The gates through which the Jews and Gentiles entered the Temple Mount are bricked over, but still visible. Down below are the stalls of the vendors and remnants of the mikvot (the ritual baths people used before proceeding. And then there are the stones, the stones of the Temple which fell during the earthquake. They remain exactly where they fell! The Western Wall (Kotel) is Judaism’s most holy place and the most contested piece of real estate in the world. As we walk through millennia-old tunnel we will see the wonders & fascinating details of Jerusalem city life thousands of years ago. While the religious pray and prepare for the Shabbat, the more secular head to the First Train Station, a renovated and restored train station, for that special Friday cup of coffee. Israelis love hear how much they are loved by Christians! Tourist love the special prices of the vendors who charge double in town! Regardless there are hundreds of people just enjoying the day and people watching, the perfect place to meet Israelis! In the power of the Living God of Israel, David felled Goliath with on small stone! The “spirit of the Philistine” is still trying to intimidate Israel and the Jewish People. Ashdod, the principal of the five Philistine cities, is now a thriving and growing city of almost 250,000 people, with Russian immigrants being a large portion. Also growing is the number of rockets landing from Gaza making this an important place to pray and worship. The platform surrounding the Temple Mount was built on top of a hill which was identified in the Jewish tradition as Mount Moriah, the most sacred place for the Jewish people, where the beginning of the world’s creation and the Binding of Isaac took place. According to the tradition, King Solomon built the First Temple here, and this is where the exiles of Babel returned to build the Second Temple. Herod renovated the temple and created an artificial expansion of the hill. Joseph had a dream here, the oldest oak tree in Israel is here, and amid the terraced landscape are caves housing olive and wine presses. There is a thriving settlement here, although the world is demanding Israel stop building in the “possessed territories.” Another glimpse into Israel’s past and present! Shiloh’s history goes back 3,000 years. As the site of the Tabernacle and the first capital of the Israelite Kingdom, Shiloh is one of the most important heritage sites in Israel. The layers of the different historical periods present the story of the region and its people. Here, the biblical stories of its original inhabitants – Samuel the prophet, Hanna and her famous prayer for a child, the commemorations of the destruction of both Temples on the 15th of Av amid the still fruitful vineyards come back to life. One of the most striking churches in Jerusalem, Galicantu commemorates the Apostle Peter’s triple denial of his Master, his immediate repentance and his reconciliation with Christ after the Resurrection. The church is believed to be built over the house of the High Priest. It is built on four different levels — upper church, middle church, guardroom and dungeon. The name is actually “Beit Hesed” meaning “house of God’s covenant-keeping love,” which is much more fitting than the English translation. On the premises is St. Anne’s church with such incredible acoustics, we MUST worship the One who is HESED. Hymns and movies depict Golgotha as on a “hill far away,” and the custom of the Romans was to crucify in the most public of places. This also aligns with Scripture that the people spat and mocked the dying Savior. Use the link at the bottom of the application to return form along with a scan of your signature and passport. If you choose to pay by check, just include the application and copy of your passport. Accommodations with large Israeli breakfast and dinner. It is customary to ask for a free-will offering taken on the last day for driver and guide. Second payment: Partial refund available if cancellation one week before second payment due. Round-trip from NYC area airport to Ben Gurion. Flight should arrive at Ben Gurion by 1:00 PM on first day of Journey. Dinner will be available at the hotel until 8:30. We will have an orientation meeting at 8:00. Transport to hotel is available at airport by private taxi or airport shuttle. Either option will deliver you to the hotel. *Depending on the situation, you might need to pay on site (by credit card) and then apply for reimbursement by your insurance. Find out in advance if your insurance plan will make payments directly to providers or reimburse you later for overseas health expenditures. If you have to make a claim later, make sure you keep all documentation. 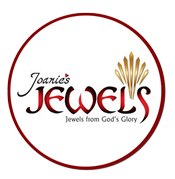 The undersigned Participant intends to travel and participate in the Prayer Journey to Israel scheduled from October 10, 2018 through October 20, 2018. Novea Ministries, a non-profit religious organization, formed under the laws of the State of Oregon is acting as the host, and has assisted in making arrangements for parts of the trip. Although Novea has and will be involved in coordinating certain aspects of the trip, Novea is not a travel agency or a tour operator, but rather works with third parties which book hotels and make other arrangements. Participant acknowledges that he/she has arranged for his or her own travel to and from Israel for the trip. As with any trip, there are risks inherent in the travel arrangements and scheduled activities. Therefore, Novea has arranged for Travel Insurance (covering basic medical and evacuation expenses) and Trip Cancellation/Interruption Insurance is included in the cost of the trip. Participant acknowledged he/she has read and accepted the terms and conditions of the insurance coverage. Any additional coverage is at the expense of the Participant. Participant is participating in the trip with full understanding of the risks. Participant agrees that in no way shall Novea’s directors or officers have any liability for any harm or damage suffered relating to the trip. The Participant understands that the signing of the application is part of the registration process.